Learn more about the My School Year Homeschool Record Keeping release that occurred on April 14, 2018. What is it? Transcripts now have more display customization options. What is this for? Because of the variety of needs homeschooling families have, the Transcript display options have been developed to meet those needs. For Add-On Text, these fields are used for entering any other information you may require for your transcript. For example, you can enter in standardized test scores like SAT or ACT. Additonally, you can enter multiple tests and scores. 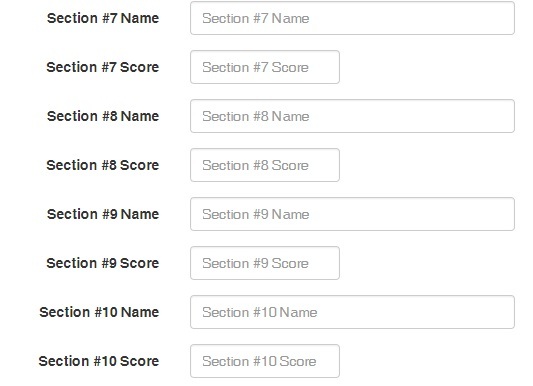 We recommend separating names and scores with a slash (/). For example, label is “SAT/ACT” while value is “1470/33”. What is it? Standardized Test score tracking now includes 4 more sections for tracking. How it works. You can optionally enter 4 additional test sections for recording and reporting, section #7 through 10. All recorded information will appear on the report. What is this for? Primarily, because the PSAT has changed, so more “trackable” sections are now available. What is it? The Edit Class Details page now highlights which Grade Types are in use when you do Custom Weightings. How it works. 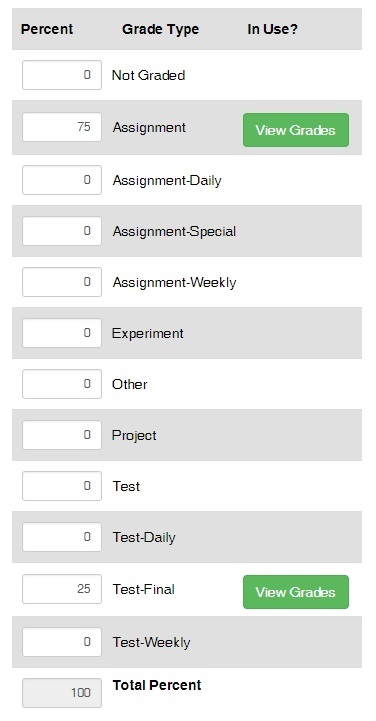 A button – “View Grades” – appears next to each Grade Type that has any completed lessons associated with it. By clicking “View Grades”, you can view all the lessons/grades associated with that Grade Type. What is this for? The visual cue and button allows you to more easily see which Grade Types are in use in case you need to make any adjustments. In every software system in the world, the need to make tweaks will always exist. Since some of you may have encountered these “un-documented features” (e.g. bugs), here is a list of items corrected. You can now change your Email Address associated without your account with having to contact the Support Team.